is a series that combines the modern technology of the EXTREME line and the excellent value for money of the OUTDOOR series. 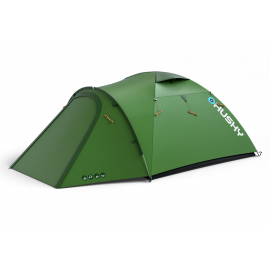 Unlike the EXTREME line, it features a standard inner construction with duralumin bearing poles, and there are no snow collars, which helps decrease the weight of the whole tent. Tents in this series can be used for climbing, trekking and cycling, in addition to the usual camping by customers that demand high quality and value. This range includes one more section called ULTRALIGHT.